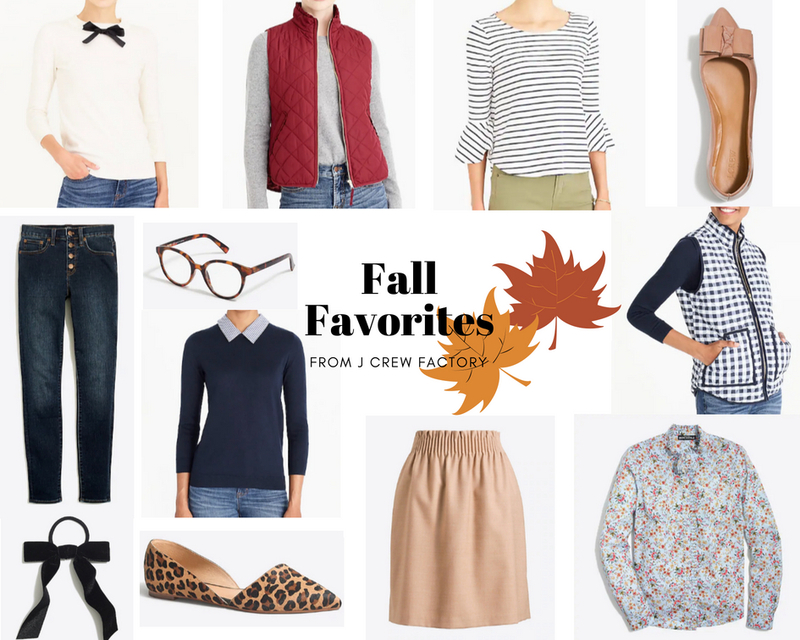 Fall Favorites from J. Crew Factory. As many of you may know, I work full time as a manager at J. Crew Factory! I absolutely love working in retail, especially at my favorite store ;) We just got in our first fall collection last week and OH MY GOSH there are so many adorable things, I just had to share my favorites with ya'll! This collection is full of puffer vests (yay! ), cozy sweaters, high rise jeans and more! The very first thing I picked up for myself was the Bow Neck Sweater in Cabernet- and now I'm thinking I need it in the white and grey too! Next on my "to buy" list is the Gingham Puffer Vest and the Sidewalk Skirt in the tan color. What do you have your eye on from the new fall collection?? You can shop my favorites by clicking on the links below!